Borras and Co's auditorium was totally overcrowded after the numerous attendance to the event performed in the city of Paraná. During the event accomplished on Wednesday evening, April 14th, the Geeks had the chance to learn about the projects to be carried out during 2010, to participate of important talks and got to know the products of many of the brands sharing our development. 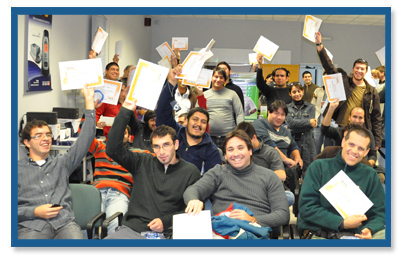 At the beginning, GeeksHive´s development director, Sebastián Monzón, gave a talk introducing the news and projects to be carried out during 2010. Mauro Pozzi, on the other hand, gave a speech introducing the wide spectrum of solutions offered by Aten, worldwide leader in the development of KVM switches. Next, together with Gustavo Ramos, the audience was able to sail across Nisuta´s world, a prominent emerging brand that offers a great variety of products ranging from tool kits, complementary kits for notebooks, adaptors, cables and controllers up to the connectivity field where it was seen the well-known Nisuta Wireless Router. Again, through the development director, it was possible to assist to the delivery of licenses of the game Team Fortress 2 belonging to the “Back to School with HP” promotion. Also, there were important raffles of Nisuta, Panda, TRV, Novatech and Gneiss products. 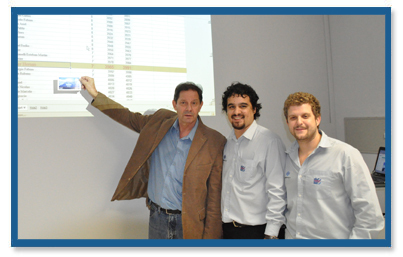 As a closure, there was the most expected moment of the event: the raffle of a travel to Bariloche of the “To Bariloche with Novatech” promotion. 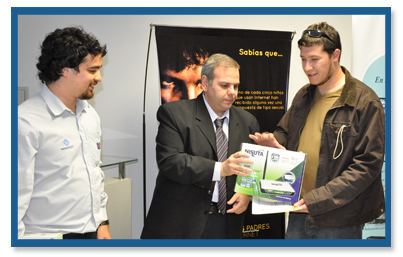 To this purpose, we had the presence of Héctor Larguero, Commercial Manager of Novatech.